Ramayana story: Victory is mine! Ravana said, O Rama, even though You have shot me I am truly the victor. My whole life I did not let You enter my kingdom, Sri Lanka, and even after my death it will remain mine, because I sent my younger brother Vibhisana to You and You appointed him to be king of my kingdom. Thus I have saved the kingdom for the demons. If I hadn’t sent Vibhisana to You ahead of time, today You would be king of Sri Lanka. My diplomacy was not detected by You. Please listen, I am departing before You to Your home, the spiritual world, and You cannot stop me from entering Your residence. O Rama, if You meditate upon all this seriously, You will see victory is mine! This example clearly illustrates that no one is more generous than Lord. 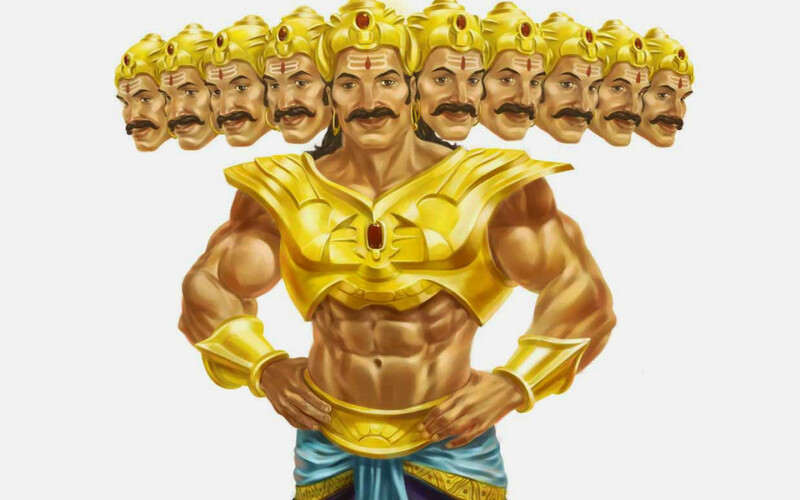 Ravana tortured the Lord and shot at Him, but in the end the Lord sent him to His eternal abode. Only an unintelligent person would leave such a merciful Lord aside and worship another Lord. Serving the Lord and chanting His holy names can at once fulfill all of a person’s desires.